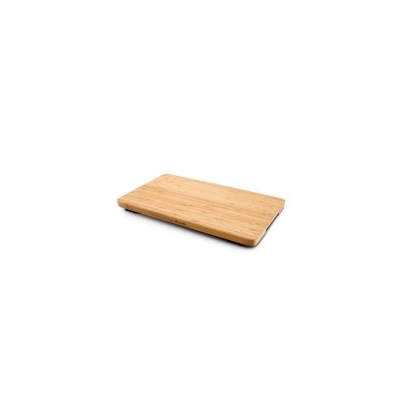 This bamboo chopping board is designed to fit on top of your Breville 800 Class Smart Oven bench top oven. Bamboo cutting boards are ideal as they absorb very little moisture and have natural antibacterial properties. They are also harder than most cutting boards and are less prone to knife markings over time. Recessed handles on the sides make it easy to pick up and transfer directly to the table for serving. As a tray, it replaces the need for a trivet or heat mat to protect the table surface from heat damage.